You would be amazed by the number of clients who respond with comments about feeling tired or exhausted. However, by the end of the session clients always walk out feeling great and re-energised. 9 times out of 10 if you can push yourself to work out when you feel tired or lethargic, you will come out of a session feeling better and in the long term you with have higher energy levels and better sleep patterns. Many fitness professionals say it, and I think it’s very true, that the more you move the more energised you feel and the more you want to do. The opposite is also true that you can enter a vicious circle of feeling tired, not exercising, and becoming less fit, feeling more tired. 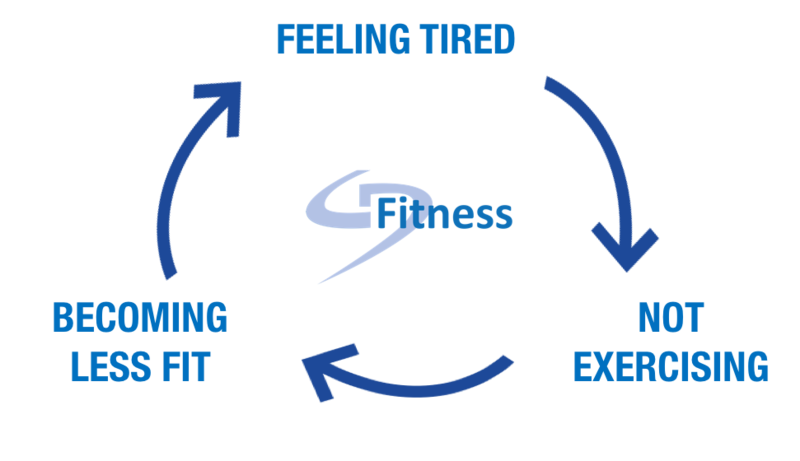 This is where having a personal trainer is beneficial as if it wasn’t for booking in a session would a client workout when feeling tired? Probably not. However, when a booking is made with a personal trainer it makes you accountable and actually makes you push through the barrier of feeling tired.